Situated near the boardwalk, this hotel is within 1 mi (2 km) of L'Embarcadere and Saint Louis Park Golf Course. Mine Museum is 2.7 mi (4.3 km) away. Montceau-les-Mines Station is only a 5-minute walk. Situated in Paray-le-Monial, this hotel is 1.6 mi (2.5 km) from Basilique du Sacre-Coeur and 1.6 mi (2.6 km) from Sanctuaires of Paray-le-Monial. Gueugnon Municipal Pool and Place des Forges Monument are also within 16 mi (25 km). 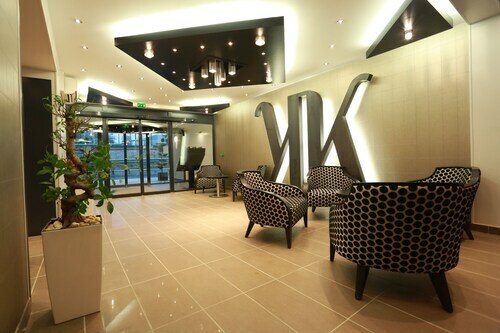 Situated in Montceau-les-Mines, this hotel is within a 15-minute walk of L'Embarcadere and Saint Louis Park Golf Course. Mine Museum is 1.9 mi (3.1 km) away. Montceau-les-Mines Station is 18 minutes by foot. Situated in Vitry-en-Charollais, this hotel is 2.5 mi (4 km) from Basilique du Sacre-Coeur and 2.5 mi (4.1 km) from Sanctuaires of Paray-le-Monial. Gueugnon Municipal Pool and Place des Forges Monument are also within 12 mi (20 km). How Much is a Hotel Room in Grury? Hotels in Grury start at $48 per night. Prices and availability subject to change. Additional terms may apply. You may have noticed there aren't any Travelocity-featured hotels in Grury. Travelers hoping to make memories in Grury should book one of the 15 rooms that are within convenient driving distance. 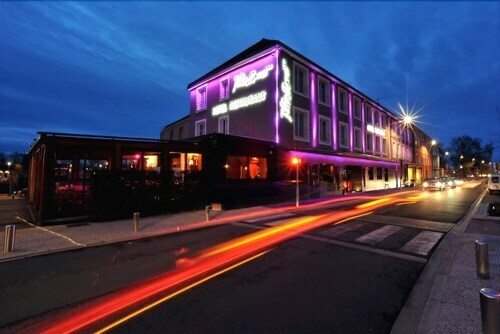 The Grand Hotel, Bourbon-Lancy, which is the nearest accommodation, is situated 8 miles (12 kilometers) from the city center of Grury. Another nearby choice is the Hotel Le Merle Blanc, in Burgundy, 12 miles (20 kilometers) from central Grury. 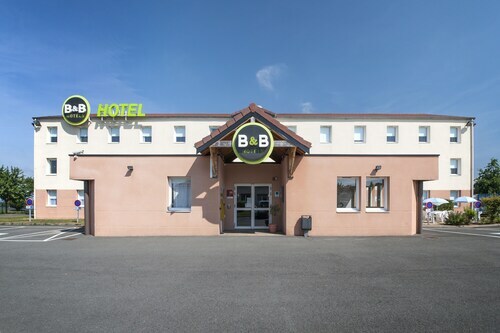 The Comfort Hotel Paray-le-Monial is situated 17 miles (27 kilometers) outside the main part of Grury. Another option is the Terminus, which is located about 18 miles (29 kilometers) away. Some other hotel options include the Grand Hotel de la Basilique and the Aux Vendanges de Bourgogne. After you have spent some time in Grury, be sure to check out some other attractions in Burgundy. Photographers will appreciate Burgundy's rural landscapes. While you're at it, venture through many of the region's ruins, castles and old towns. Tireless visitors can get into cycling here. 50 miles (83 kilometers) from Grury, you can find Romaneche-Thorins, home to Touro Parc and Le Hameau Duboeuf. Travelocity-listed Romaneche-Thorins places to stay include the Les Maritonnes – Parc & Vignoble and Hotel Des Grands Vins. Or, stay the night in Tournus, 45 miles (76 kilometers) east of Grury, where you can pick from the Hôtel de Greuze and De la Paix. While visiting Tournus, be sure to visit the Hotel-Dieu and St. Philibert Abbey. Before you head home, consider spending a few hours enjoying the thrills and spills with local supporters at an exciting match. You'll find Halle Des Sports Andre Vacheresse 45 miles (71 kilometers) to the south of Grury. Visitors who would like the convenience of staying close to the action, reserve a room in the Chateau De Champlong or Inter-Hotel Hélios Roanne. Dijon - Burgundy Airport is a primary airport for those arriving by air to Grury. It is 70 miles (112 kilometers) from the city center. If you would prefer to stay close by, look into Hostellerie du Chapeau Rouge or Hotel Philippe le Bon.